Intelliwise Artificial Intelligence Research (IAIR) is a company with two goals in mind. We develop research in theoretical Artificial Intelligence and we also invest time on the practical realization of some of these ideas. Our approach is to use cognitive and neuroscientific evidences to pave the way to a comprehensive understanding of human and animal intelligence in general and the construction of artificial systems in particular. This site contains some of the theoretical material (eternally under construction) as well as some of the practical ideas that have been developed. Interested in Intelligent Video Surveillance? 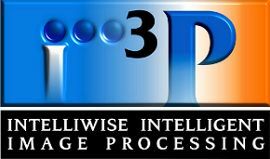 Intelliwise Intelligent Image Processing Interessado em Vigilância em Vídeo Inteligente?